Lemon basil growing shrub‎ type of basil of genus Ocimum also known as Thai lemon basil or Lao basil, Lemon basil fragrant perennial evergreen in warm climate and annual plant in cold climate, can grow in tropic, mediterranean, subtropical or temperate climate and growing in hardiness zone: 10b+ (perennial), 5-10 (as annual). Leaves color green soft narrow and thin, with ovate shape in flavor that remind lemon. Flower color white, flower grow on inflorescence. 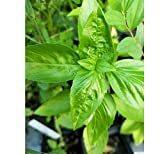 Is it necessary use vegetative reproduction in Lemon basil? 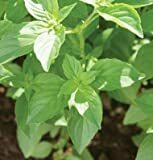 What is the size of a Lemon basil? 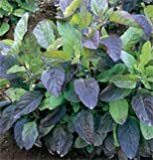 How to make Vegetative Reproduction in Lemon basil? 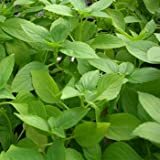 What is the treatment for vegetative reproduction in Lemon basil?